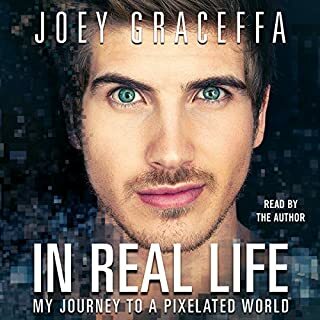 It was a Guardian review of YouTuber books that made me interested in Tyler Oakley's memoirs, even though I didn't follow him that closely on YouTube. The review described it as a 'story that needed to be told', and listening to the audiobook, I agreed by that statement tenfold. Not only were his stories interesting, engaging and unapologetically candid, Tyler has an irresistibly entertaining voice that piques your interest. His intonation is rarely flat as he takes you on a magical bouncy castle ride with his voice, and he delivers his funniest, most horrific, and most emotionally raw stories all with a great understanding of drama and pacing, to achieve the optimum effect. The occasional self-aware giggle at his own expense also added to the authentic feel when regaling the reader with his stories. I was entertained the whole way through, and listened to the whole thing in one go. Tyler is an undeniably talented storyteller. 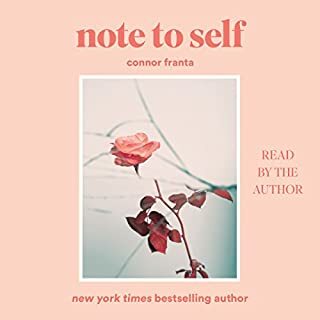 I was going to buy this book and read it in person I prefer reading I feel like it goes in more plus it's just something I enjoy. 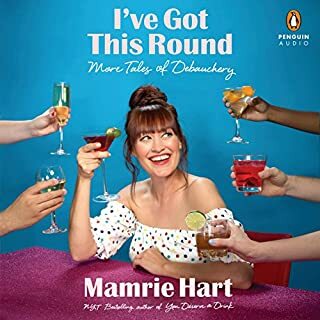 But as I knew it was great from reviews and well Mamrie hart on a plane I never doubted it for a second i accidentally got charged from my membership so used the credit to get this. Great job Tyler!! 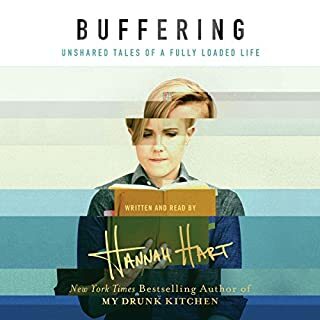 Binge was absolutely amazing, The book was very personal, Relatable, Honest and most of all very well put together. What made the experience of listening to Binge the most enjoyable? Thank you for this book! It helped me feel less anxious while I was on public transport and it made my days brighter, wish it was more. SO GOOD! Which character – as performed by Tyler Oakley – was your favourite? Tyler's voice is literal gold dust I want to cherish. If you could sum up Binge in three words, what would they be? What was one of the most memorable moments of Binge? Cheesecake factory, the beets problem !!!! What about Tyler Oakley’s performance did you like? 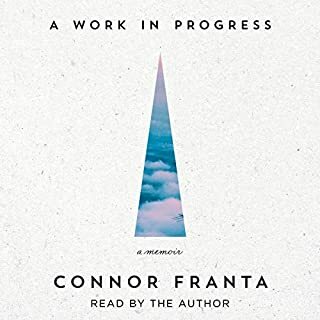 nah i just wanted to say that I'm happy about my first audible purchase and do not regret it at all !!! Tyler you have done so well! I honestly had jumped off the Tyler Oakley bandwagon a long time ago. 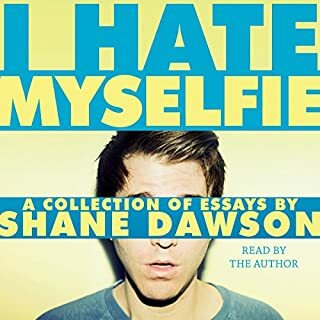 But the book intrigued me, so I gave it a listen (mostly because I love how theatrical Tyler's voice is). He was so raw and honest, I connected so much to some of his struggles and the fact he mentioned poop a million times! He is hilarious and witty. I felt like he was sitting on my couch having a d&m. Get it, buy it, listen to it. Binge is wonderful. Wonderful I tell you!! Needless to say, I am back on the Tyler Oakley bandwagon. loved it!! very very good book and i would definitely recommend it to others . 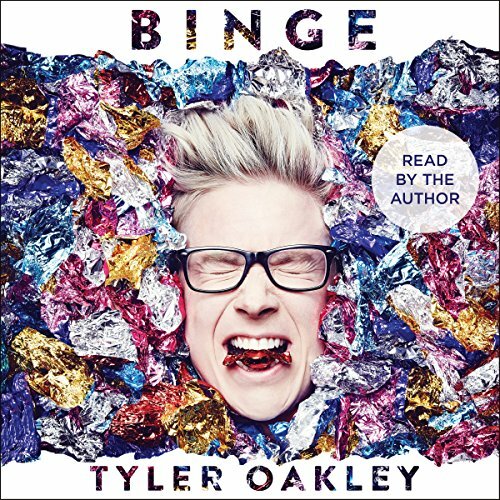 Tyler Oakley is amazing as he delivers his audiobook about the insides and nitty gritty moments of his life. Highly recommended read for everyone!